Some towns have all the luck. 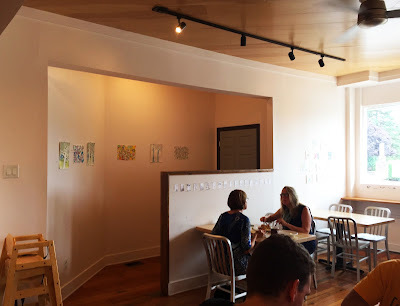 While I am not one to let envy overtake me, I definitely get a little green in the eyes when I find a town has more than one great coffeehouse. With most towns operating with zero quality shops, it is truly great fortune when a small geographic area gets two (or more!) 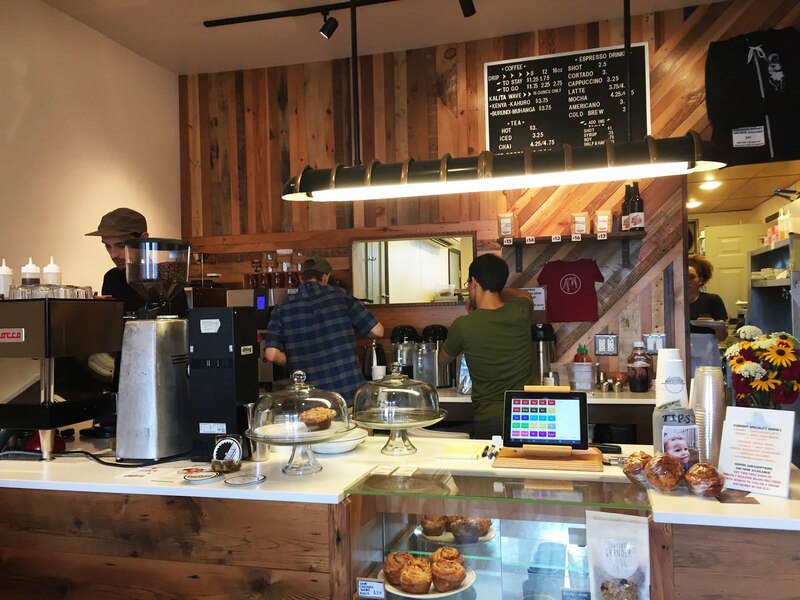 great coffee operations. 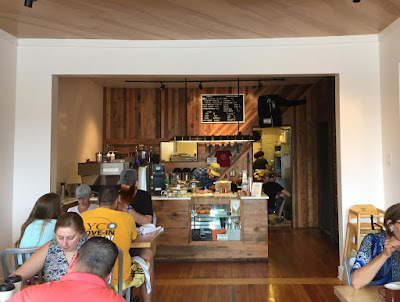 Such is the case with Williamsport in the hills of Pennsylvania, where I first found Alabaster Coffee and then happened upon the Sawhorse Cafe shortly after. 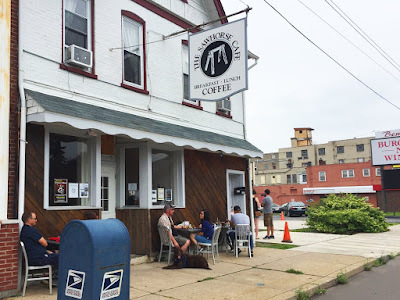 Located across the street from Lycoming College, I found the place full of adoring patrons one warm Sunday morning when I stopped by for coffee. Inside the cafe mirrors the exterior, with wood planks accenting a largely white decor and a decent amount of natural light. 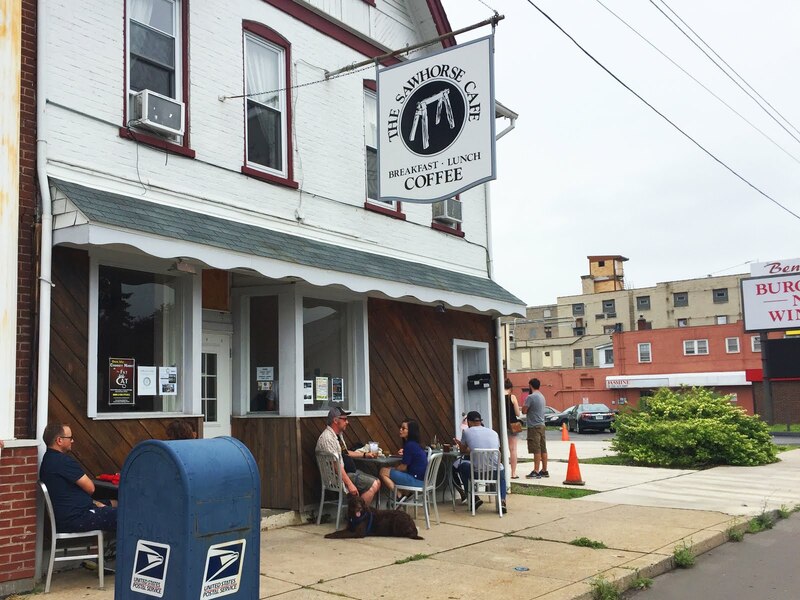 As for the coffee, they utilize their own coffee, roasted and sold as Buzzsaw Coffee. 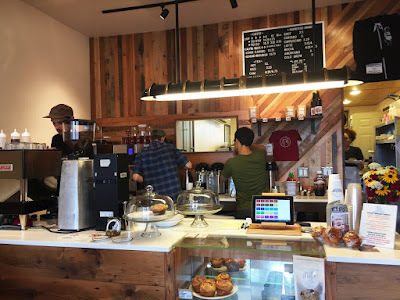 I ordered an espresso of their San Francisco Blend and a pourover of their Kenya Kahura. The espresso, pulled short with brown crema, exploded with strawberry, cocoa, cream, lemon zest, biscuit, a little vanilla and a touch of spinach. The pourover also proved delightful, with notes of kiwi, blueberry, milk, balsamic vinegar, chocolate chip cookie, a little lemonade and a bit of walnut in a light to medium body. Jazzed with my experience, I polished off my drinks and headed off to a less lucky town without such an excellent place. If you're in Williamsport, definitely check out the Sawhorse Cafe. I'm glad you featured the Sawhorse Cafe, Paul. I've been to Williamsport several times and always make sure to stop there. Great little place.